H M Peel (Hazel Mary Peel) is one of the lesser known horse adventure authors, probably due to the fact that only two of her books were published in paperback (by Armada) in the UK. Born in London, Hazel was educated at Alderman Newton’s Girl’s School in Leicester. She hated school and left at fourteen with a desire to work with horses and a keen interest in writing. Having gained experience and knowledge through her equestrian work, she began writing in her late twenties after a brief spell in Australia. Her first book was Fury, Son of The Wilds, which was published in 1959. Set in Australia it, like Jago (published in 1966), is about racing and wild horses. Hazel’s other books form a series, although they do link with Jago’s story in Untamed, and are about a grown-up couple Ann Henderson and her husband Jim. 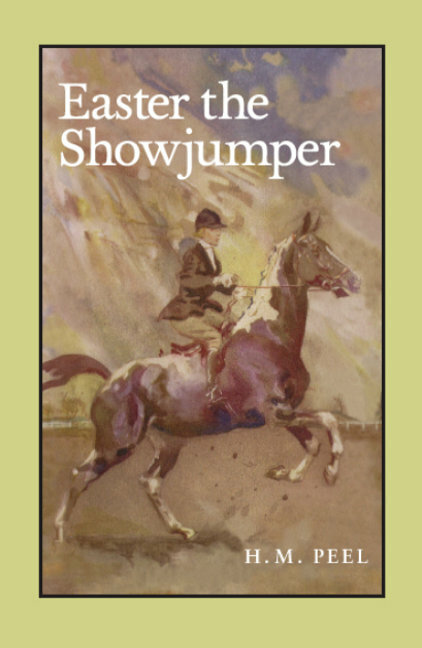 In the first book of the Leysham Stud series, Pilot the Hunter; Ann buys Pilot, a piebald who is ‘difficult at first’. There are seven books in the Leysham Stud series; most of the horses are, like Pilot, difficult but each for very different reasons. Hazel has also written a non-fiction book, Pocket Dictionary of the Horse, published in 1978, which contains "over 500 definitions of 'horse-sense'". Hazel now writes under the name Wallis Peel. Thanks to Jane Badger for helping compile this biography; more information and an interview with Hazel can be found here. Jane Badger Books has an excellent feature on Hazel Peel and her books.